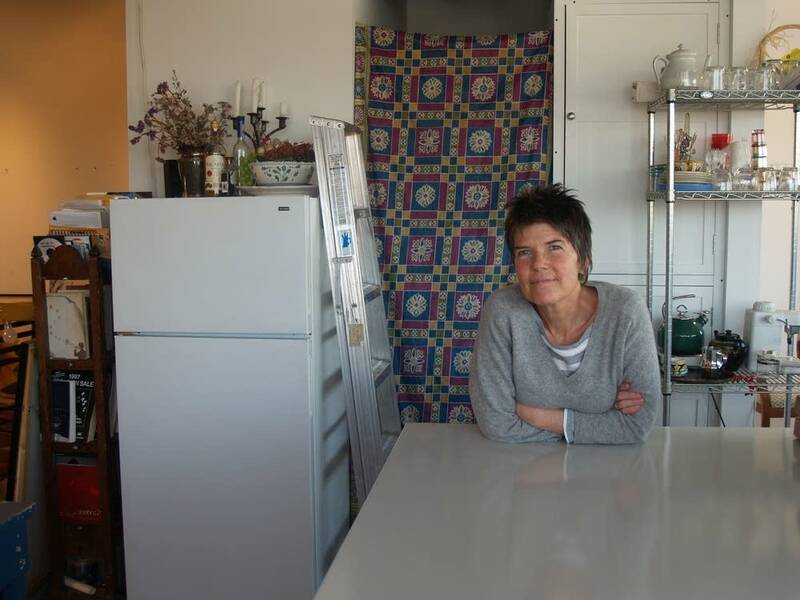 JoAnn Verburg has her own view of the world. 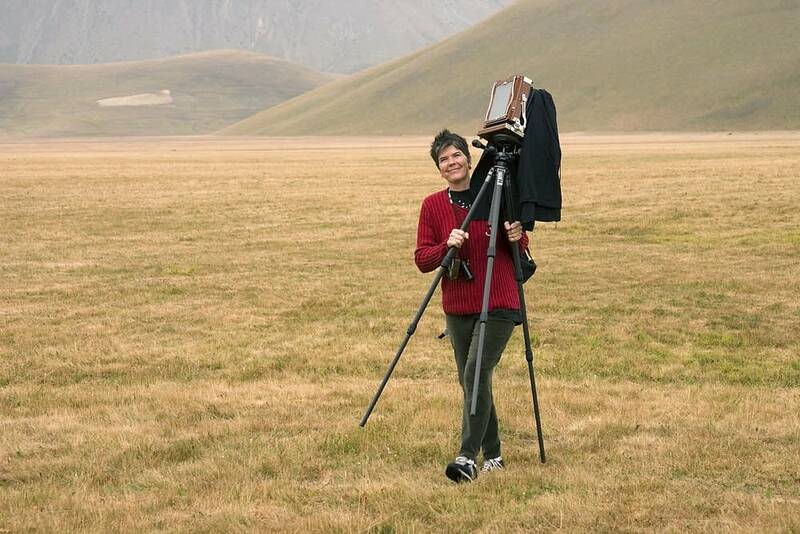 For more than 20 years, Verburg has used a large format camera. There's a lens connected to bellows on the front. She ducks under a dark cloth at the back to compose the image. Verburg spends a lot of time under there, playing with the image and the focus. "I am really not thinking particularly, but I am just looking at things. It's almost like working with a piece of clay. You are not really thinking about it so much as you are just watching what happens when your fingers squoosh it," she says. The camera uses large film that is five inches by seven inches across. It allows for the creation of very clear prints. As the morning light streams into her studio near downtown St. Paul, she's hung some of the prints which will appear in her new show. They are usually quite large -- a couple of feet high, sometimes more. They are still lifes, portraits and pictures of trees. She likes to make life-size prints. She also tends to take pictures with the intention of hanging several together in twos, threes or more. She points to a piece called "With Michael and John in Minnesota." It's three black and white pictures, each featuring the face or part of a face of a different person. But in the background of each imagem you can see one of the others. "Obviously, if you look even slightly carefully at this picture it's not a simple record of a moment, but rather it has to do with relationships," she says. "And I think by making the heads life size, it extends the relationship to the viewer." 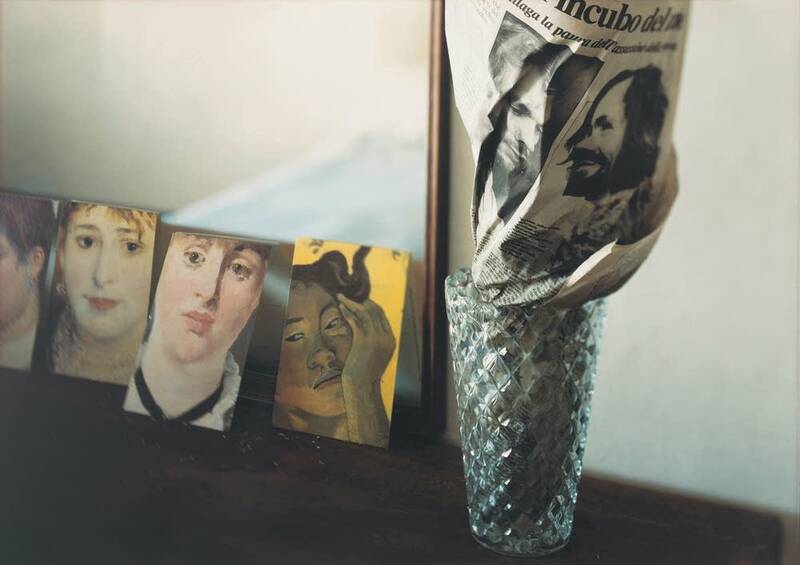 "With Michael and John in Minnesota" is an early work from the 1980s, when Verburg photographed artists working at the Minneapolis College of Art and Design. These multiple images attracted the attention of Susan Kismaric at the Museum of Modern Art in New York. "It was a very imaginative way to try to describe individuals and their relationships with each other. So it was something I had never seen before, and I don't think anyone here had quite seen it," Kismaric says. The museum bought one of the images and has been working with Verburg ever since, culminating with this show curated by Kismaric. She says Verburg continues to present new and surprising things. She's made images of dancers in swimming pools and olive trees in Italy. Verburg has also taken many pictures of her husband, the poet Jim Moore. Often he is sleeping or reading the paper. Sometimes the only thing in focus is a headline or a story in the paper. Such is the size of Verburg's photographs -- it's possible to read the words. 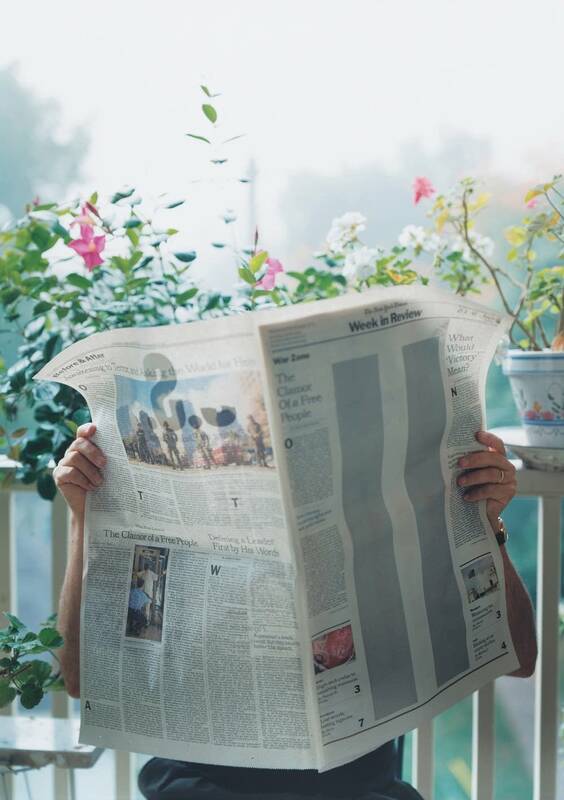 Two powerful images show Moore reading the paper in the week of the 9/11 attacks. The horror of the events splashed across the paper stands against the background of a dilapidated house in one picture, and the calm of a flower garden in another. "I felt devastated. And my way of working myself out of very difficult emotional traumas is to try to look through the ground glass at the world," she says. Verburg stresses the pictures are not about her husband. She says they are about humanity. She tries to drain all narrative from her pictures. She says a story comes to an end, but she hopes her pictures will become part of a viewer's life. "So the photograph provides a real life present tense experience that adds to whatever other experience you are having at the same time," she says. That might be having a conversation or thinking about a book. Verburg says the experience might well be different the next time an individual encounters the same image, so the relationship continues. There is one relationship in Verburg's life which is about to end. Kodak stopped making the film she needs for her camera. She opens her studio fridge to show the three cases she has left. "Each one of these has 10 boxes, and I have three so I have 30 boxes left," she says. That's a total of 300 shots. Verburg says she may try to persuade Kodak to do a special run of the film. If that doesn't work, she says she'll just have to make art in some other way. Which JoAnn Verburg says is a shame, because after 25 years she's getting pretty good with this camera.